Successfully Surviving a Brain Injury is an easy-to-read guidebook for families suddenly thrust into the painful and confusing world of brain injury. It teaches readers the basics of brain trauma. It guides them step-by-step through the recovery process. It provides the practical information they need to handle the insurance, financial, legal, emotional, family, and personal issues that accompany a brain injury. It also describes the wide range of impairments caused by brain trauma and the factors that influence how well someone recovers. 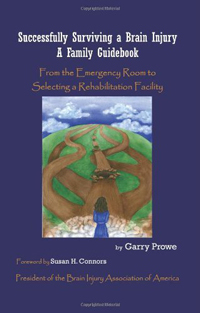 This book is not only a practical and essential roadmap to a successful recovery, it also is an inspirational story of how one couple overcame profound changes in their relationship and created a fulfilling new life. This is a useful guide for social workers to recommend to families of brain injury survivors.